Unified Sports® is a registered program of Special Olympics that combines approximately equal numbers of athletes with and without intellectual disability on sports teams for training and competition. All Unified Sports® players, both athletes and special partners, are of similar age and matched sport skill ability. Unified Sports® teams are placed in competitive divisions based on their skill abilities, and range from training divisions (with a skill-learning focus) to high level competition. Besides providing a similar competitive experience to regular school interscholastic sport opportunities (that is: Authentic Competition) players will also gain physical fitness, develop friendships and demonstrate appreciation and respect for each other both on and off the playing field. 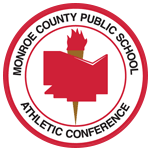 Our MCPSAC Unified Sports program focuses on teaching sports skills to students with different abilities in a friendly, supportive, and competitive environment. Practices and competitions are centered on each student's abilities, learning sport specific skills, participating on a competitive team and forming bonds of friendship between team members. Chris Amesbury - Chemistry Teacher/Varsity Basketball Coach at Gates Chili.